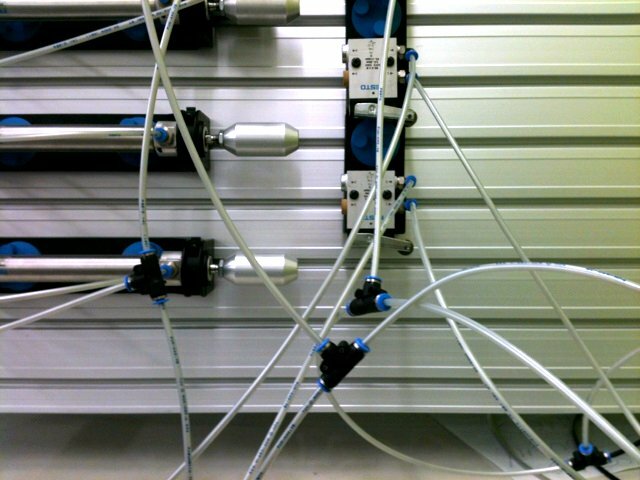 This little tutorial will take you through some of the methods used for pneumatic and vacuum plumbing in an industrial environment. 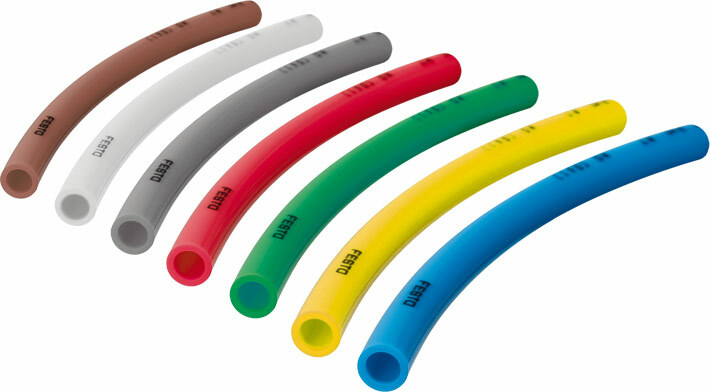 We will just be dealing with flexible tubing systems as used in most smaller industrial machines, large scale compressed air and vacuum distribution will not be discussed here. The stuff that gets your moles of air from point A to point B. The most common materials are Polyurethane (PU), Nylon and Polyethylene (PE) My favourite is polyurethane as it is very flexible making it easy to fit into tight places. All tubing that is manufactured in europe is metric with standard outside diameters being defined. Please for the sake of my sanity use metric components in your creations as much as possible. No, 6mm tube is NOT 1/4" There is a difference and the fittings are not interchangeable. The most common "hobbyist sizes" are 4mm and 6mm. 4mm being suitable for control lines and smaller slow moving actuators while 6mm is more suited to supply lines or for bigger faster and scarier actuators. Tubing can also be purchased pre formed into spirals to allow for movement. If you are building something that requires multiple lines to one component but don't want to use cable ties it is possible to get multiway tubing. That is more than one tube is fused together. It's all very well having tubes to do a plastic spaghetti impression with but how does one actually connect everything together? 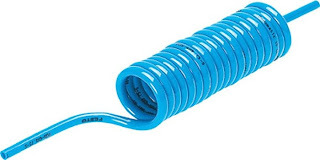 One of the more common type of tubing connector is the pushfit, these seal the air in using an O-Ring and mechanically hold the tubing with a stainless steel collet. Pushing on the collet cap will retract the collet and allow the tubing to be released. 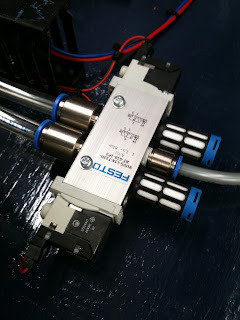 Now these fittings make assembling a circuit very quick and easy, the fact that connections can be made and changed so quickly allows one to "play" and generally mess about with valves, actuators and other components. There are a heap of different fittings (way too many to list here) but to name a few. 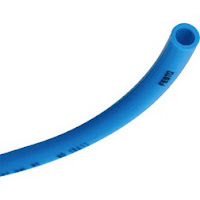 T Connectors are also available as a reducer, this allows a smaller diameter tube to be connected to a large tube very neatly. All manner of threaded fittings are available too. Most are made of brass with the threads being treated with some kind of PTFE compound or tape to prevent leakage. Now earlier it was mentioned that mixing imperial and metric tube and fittings was a bad idea... Well things may get a little confusing here as BSP threads are imperial. The most common sizes you are likely to encounter are 1/8" 1/4" and 3/8" taper threads. Fittings are also available with Metric threads however these most often used for smaller sized connections (M5 and M6 being common sizes) Metric fittings are parallel threaded with a sealing gasket. Reducing fittings allow one to change the diameter of tubing in some way, Say for example a very long air line is run in a larger diameter to reduce flow restriction. The tube size then can be reduced at the supply point to allow for flexibility or if the fitting size is limited. attached to control valves and rams. A water rocket launch pad I built at VUW. From someone in Welly trying to find 4mm pneumatic tubing for a welder, thank you for your links!